Dean Lombardi, the president and general manager of the Los Angeles Kings, has been named the GM of Team USA for the 2016 World Cup. Lombardi has managed the Kings to two Stanley Cup victories in the last four seasons and has served as a part of the U.S. Men’s National Advisory Group since 2009. 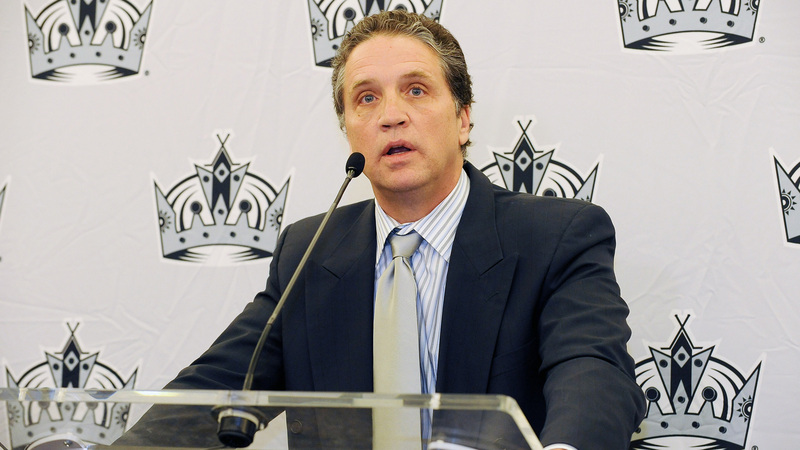 He joined the Kings as president and GM in 2006. He previously worked with the Philadelphia Flyers as a professional scout for two seasons (2003-04, 2005-06), and worked within the San Jose Sharks’ front office for 13 years. Lombardi also served as an assistant general manager for the Minnesota North Stars from 1988-90. “We’re thrilled to have Dean at the helm of managing our World Cup team,” Dave Ogrean, executive director of USA Hockey, said. “He’s been an invaluable part of our men’s national team advisory group and obviously done a remarkable job in building the Kings." In addition to Lombardi, Team USA named Philadelphia Flyers president Paul Holmgren as an assistant GM, Brian Burke, president of hockey operations for the Calgary Flames, as a senior advisor and Jim Johannson, assistant executive director of USA hockey, as director of hockey operations. The 2016 World Cup is scheduled for Sept. 17 through Oct. 1. in Toronto. The World Cup of Hockey will return after 12 years of dormancy. The most recent World Cup of Hockey, with the final held in Toronto in 2004, was won by Team Canada. "We are thrilled that the World Cup is back in 2016," Johannson said. "And we certainly hope that it’s a great event, and it’s a good event for hockey, the players, the NHL and the NHLPA. It’s something that, we can all agree, has a bright future." "I think that team went into that tournament expecting to win," Lombardi said. "That’s been, to me, watching the growth of U.S. hockey as one of the intangibles that has manifested itself right in front of me over the years, and it’s just amazing to watch." "And to watch the growth of this program, to where they now walk into rinks and we expect to win, is an entirely different mindset," Lombardi continued. The World Cup will consist of seven other teams: Canada, the Czech Republic, Russia, Finland and Sweden will all be represented, and, in addition, a Team Europe and North American Youngstars team will finalize the grouping. This marks Lombardi’s first ever general management position at the International hockey level. "I got to be honest with you, I’ve got a lot of work to do here," Lombardi said. "This is why (Johannson) to me is invaluable. (Holmgren and Burke) have extensive experience in this arena." "I want this plan in place," Lombardi continued. "We’ve already started our templates, as I’ve talked about. How we’re going to scout, divided up by regions. How decisions are going to be made. And then the timing of those things. The only thing I can envision right now is, I think when you are looking at this team, you can get that feeling of (definitiveness). And then maybe there’s that middle group. The key in all of this is fit. It’s not only who the best player is, but how they are going to fit with those players that we feel are (our) core, so to speak." All teams will roster 23 players, with three goaltenders. Each association must announce 16 players, including two goaltenders, onto their roster by March 1, 2016. The remaining players on the roster must be announced by June 1, 2016. The World Cup of Hockey is a joint effort between the NHL and the NHL Players Association, with the cooperation of the International Ice Hockey Federation.